Over 400 pages of documents released to The Guardian and the East Bay Times reveal a pattern of sexual harassment among faculty and staff at the University of California at Berkeley. The documents, which include disciplinary reports as well as correspondence, show that 19 employees, including six faculty members, have violated the university’s sexual harassment conduct code since 2011. In addition, the documents confirm that faculty members are unlikely to be fired or disciplined for their violations whereas often lower-paid, less valued staff members were always fired for similar or lesser violations. The release of the documents comes on the heels of two high-profile sexual harassment cases at the university. First, the university turned a blind eye to astronomer Geoff Marcy, who is accused of sexually harassing multiple students over a decade. Second, Law School dean Sujit Choudhry acknowledged harassing a female employee over the course of two years. Despite both allegations and admissions, Marcy and Choudhry continued their employment at the university. Marcy eventually resigned and Choudhry was recently downgraded from dean to professor. In addition to the Marcy and Choudhry cases, the often heavily redacted documents from the Office for the Prevention of Harassment and Discrimination show that the office upheld sexual harassment claims against a diving coach, an adjunct professor in the statistics department, a professor in the department of South and Southeast Asian Studies, a custodian, and a disability specialist, among others. Nearly all of the faculty members kept their positions at the university while all of the staff were terminated. Topacio told the East Bay Times that the investigation was retaliation from employees. “It’s easier for them to let us go, the staff members. We’re more dispensable than [faculty] are,” Topacio said. Though the documents show a similar pattern of harassment by male faculty members—unwanted touching, sexual comments, persistent emails—only one adjunct professor left the university as a result of the office’s investigations. Of those with tenure, Choudry remains at Berkeley, Marcy resigned, and the office is currently considering the case of Blake Wentworth, an assistant professor in the South and Southeast Asian Studies department. Wentworth has been found in violation of the sexual harassment policy for an “unwelcome, sexual advance” to a graduate student. Berkeley has yet to determine action against Wentworth. 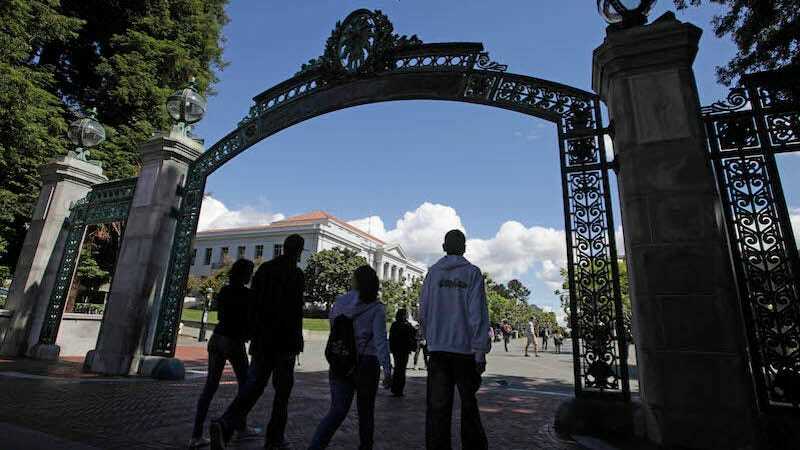 In an interview with The Guardian, Michael Burawoy, co-chair of the Berkeley Faculty Association and a sociology professor, said that the handling of the faculty in these cases raised questions about unequal treatment. “The most significant part of this revelation is the difference in the punishment,” Burawoy said. “Tenured faculty are basically not dismissed... that theme runs through all of this.” He added that the result is an uneven power dynamic, one which treats faculty sexual harassment as something that is done, but not acknowledged. Yet again, Berkeley acknowledged that it needs “improvement in our policies and our practices and our culture on this campus,” adding that they had recently formed a committee on sexual violence and harassment.